Flowerburn Mains is a working farm in the heart of the Black Isle, a peninsula to the north of Inverness. It combines spectacular natural beauty with easy access to a range of facilities to make your holiday truly pleasurable. Each cottage has a large sitting room with a fireplace. Plenty of coal and logs are provided. However there is an independent central heating system throughout. Each has two double bedrooms. (One double and one twin bed - with an extra stowaway bed). Bathroom with bath/shower. Modern kitchen and dining area. Comfort and relaxation are key themes in 'Whinstone Cottages'.As such, each cottage is fully equipped with a wide range of appliances to make life as easy as possible for you. Each cottage has a private garden area, which is ideal for relaxing, barbecuing and playing in.Short Breaks Available. 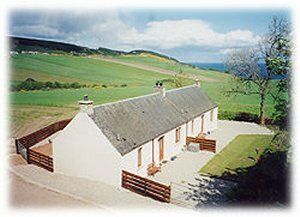 Located on The Black Isle, an area renowned for it's scenic beauty, HillockHead Holiday Cottages offer luxury accommodation within easy reach of both the City of Inverness and Loch Ness. We have seven distinctly different properties, all with wonderful views and sleeping from 2 to 10 guests in comfort, plus a hot tub. 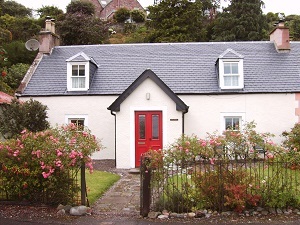 Chanonry Cottage sleeps from 4-6 and is our newest property. The cottage is beautifully presented throughout and has a jacuzzi bath. Juniper and Rowan also sleep 4-6. All enjoy stunning south facing sea views. 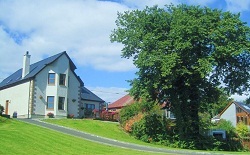 The Pines and Dolphin both sleep 5 and overlook the sea and wooded glens. Their living rooms have a balconies and are on the first floor. Finally, we have Stables and Swallow, cosy properties for two overlooking the sea and beach. Open all year. Rates from £385 to £1,450 per week. Short break rates may be available, particularly in low season. All the properties have gas fired central heating, shaver sockets and kitchens equiped with an electric cooker/hob, washer/dryer, fridge, dishwasher, microwave, coffee maker, toaster, iron and ironing board. There are colour TV's and VCRs in the living areas and bedlinen, duvets, crockery and cutlery are provided. The Lodges sleep four in two bedrooms, one double and one twin. The kitchen, living and dining area is in one room which opens on to a balcony. The living area has a three piece suite, table and chairs. The bathroom has a small bath with electric shower over and a shaver socket. Callachy Cottage sleeps four in two upstairs bedrooms, a queen sized double and a twin. The bathroom has a full sized bath with shower over. A second toilet is downstairs as are the kitchen/diner, lounge and utility room with a freezer and washer/dryer. At the front is a small conservatory where you can sit and enjoy the superb view which extends to Ben Rinnes about 40 miles away. There is a solid fuel stove in the lounge as an added attraction. Hopefield Cottage has a gas hob instead of electric, and a fridge freezer. This cottage sleeps six in two bedrooms, three singles in one and a double and a single in the other. Hopefield is situated on its own, about 400 metres from the otherholiday homes. 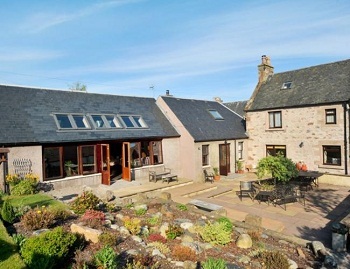 Set amid fields it has an uniterrupted view over the Moray Firth. It has its own enclosed and grassed garden. As with all properties there is ample parking space. 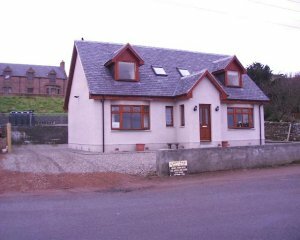 Situated in the Black Isle village of Rosemarkie, this 2 storey detached house was built on the sea front in 2001. The accommodation is finished to a very high standard. Upstairs the accommodation comprises one Twin bedroom, one Double bedroom with en-suite and a bathroom with shower. Downstairs there is a bedroom with en-suite, suitable for disabled, lounge/dining area with TV, kitchen with cooker, dish washer, portable TV & dual Microwave, utility room with washing machine & tumble drier. All linen & towels supplied. Oil central heating free. Electricity extra. Patio & driveway for 2 cars. Sorry no smoking & no pets. A traditional fishermans cottage for four. The property has been well modernised and furnished and is within walking distance of local shops, pubs and the Groam House Museum. Lounge, dining kitchen, large utility room, downstairs shower room with toilet and basin, spiral staircase to upstairs bathroom with electric shower over bath, basin and toilet, 2 bedrooms :- 1 double, 1 twin both with wardrobes units. Total control storage heaters and panel heaters throughout, first £5 electricty provided rest by card meter. All bed linen and towels included in the rent, colour TV, fridge freezer, automatic washing machine, tumble dryer, microwave, lawned garden and garden furniture, parking nearby. Sorry, no pets. No smokers, please. 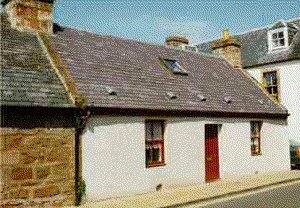 Fuchsia Cottage is situated with a southerly aspect adjacent to the beach and small harbour in Fortrose, overlooking the slipway used by the local sailing club. The cottage is built in the traditional Scottish style (c1800) of stone and is subject to conservation regulations together with the adjoining gable end walls of the original Smithy which now forms the rear garden. Equipped to sleep up to five in two bedrooms, one double and one twin with a "Z" bed for an extra person/child. A cot is also available. Duvets are used on all beds but you will need to provide your own bedlinen and towels. Electric storage heaters provide both heat and hot water and can be supplemented by the use of an open fire (coal or wood) which has the normal back boiler. The kitchen has been fully modernised and equipped, with electric oven together with a separate hob. An automatic washing machine and a fridge is also provided. There are two public rooms. A colour TV (Sky-Digital) and video provide entertainment during the quieter hours. The bathroom contains a w.c. hand basin, electric shower and towel rail. There are no extra charges with electricity included. We regret that pets are not allowed. Reyflat Barn is a unique property conversion situated less than ten minutes drive from the village of Rosemarkie on the Black Isle. The property recently completed sits in an elevated position with views across rolling farmland and down to the village of Rosemarkie and the Moray Firth. Inside the property is equipped and furnished to a high standard, a particular striking feature being the large lounge and the balcony area on the upper level, designed to take full advantage of the views. 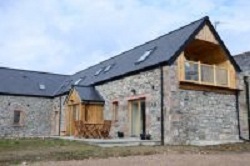 The property is ideally placed for exploring the Black Isle, and with good road connections it makes an ideal base for those wanting to explore the Northern Highlands and the West Coast. Summer Lodge is a well appointed bungalow situated approximately 50 yards from the shores of the Moray Firth where from the comfort of your cottage one will be able to catch a glimpse of the famous Bottle Nosed Dolphins as they swim past, and enjoy free fishing from the bay opposite the property. The Boat House is also situated just 50 yards from the lovely Rosemarkie Beach. This detached former lifeboat station has been converted to provide spacious accommodation, making the perfect holiday base for exploring the Highlands. This large family home sits at the heart of Rosemarkie, a fascinating and pretty Highland village on the southern shores of the Black Isle. The house benefits from being within walking distance of a beach, a bar, a restaurant, an excellent food store, a golf course, woodland and coastal walks and a prime dolphin-watching site - reputed to be the only place to watch dolphins from the shore at close quarters. Dolphin House is a particularly accommodating family home designed to make families with children welcome and comfortable. The huge sitting room is quite special and leads out onto the safely enclosed garden and terrace, which is private and perfect for barbecues. Lanna House - Holiday Home is located on the Black Isle, overlooking the Moray Firth on the sea front in the village of Rosemarkie. Available for weekly rental and Short Breaks. The Black Isle has something for everyone - beach, golf, dolphin watching, fishing, horse riding, wild life park, quad biking, boat trips, paintball, walking and mountain biking but also an ideal location to tour the Highlands and visit many other attractions.